Welcome back to Trendy Tuesday! So glad to have you all here. 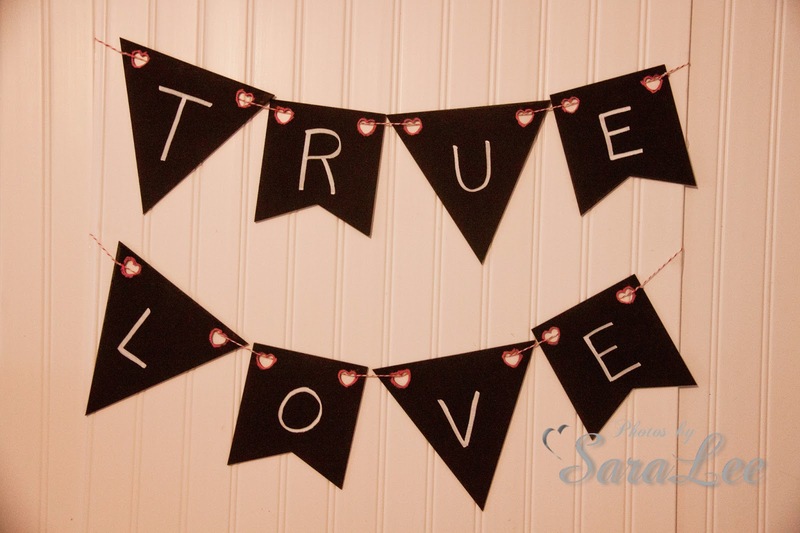 We had tons of fun with Valentine's Day this past week...I have to admit it's been kinda hard to figure out what to blog about now that it's gone! 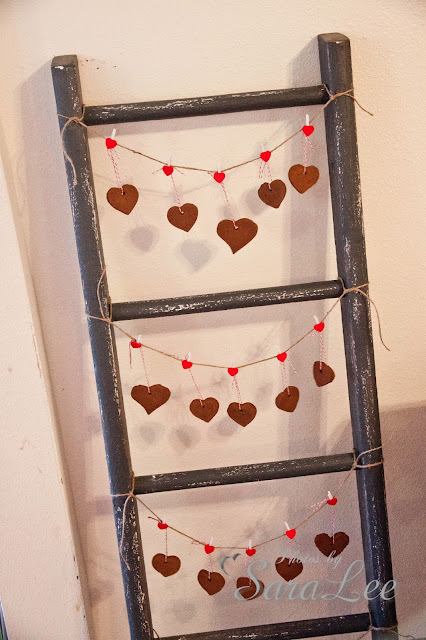 I posted some late V-Day projects I made...a fun chalk heart banner and my sweet little dough hearts on the ladder. Hope you enjoy! 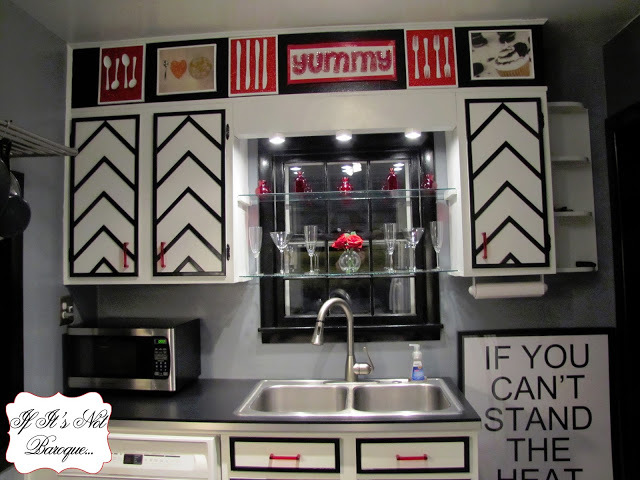 And here's the fun feature of the week...a beautiful chevron kitchen makeover from If It's Not Baroque!! I just adore this! 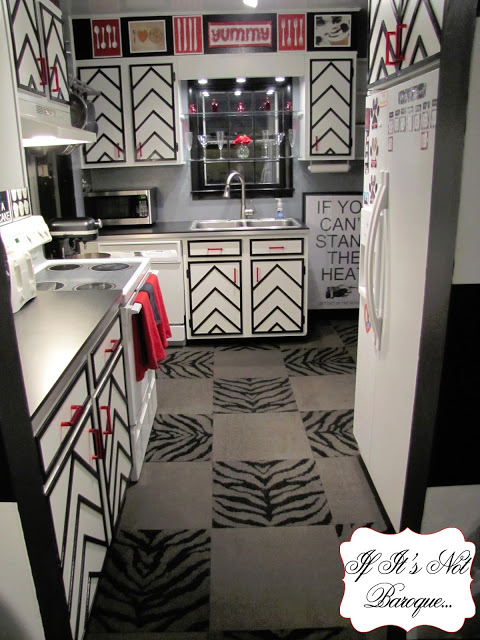 LOVE the colors and the chevron style going on! Thanks so much for hosting - will be by a little later to mingle! Thanks for hosting! It is a little strange not to see all the valentine's posts, but I'm okay with it! I have browsed some great projects and delicious looking food. Thank you for hosting! Thank you for hosting, Sara! 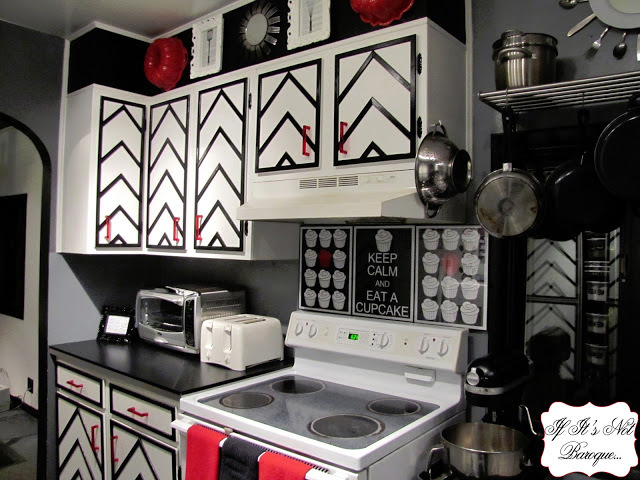 I'd love if you'd come join my How To Tuesday link party, too. thanks for hosting. glad you had a fun valentine's day! That is one amazing transformation!